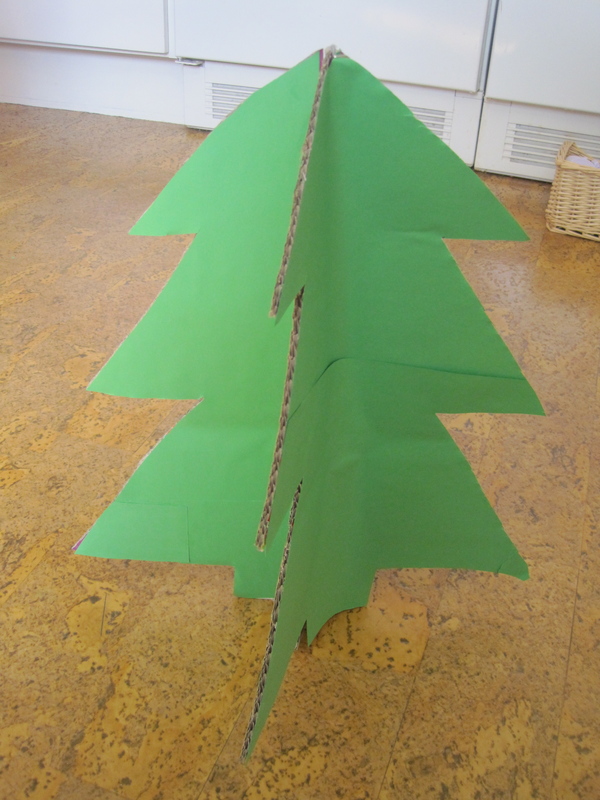 Yesterday Maya decided she wanted to make a 3D Christmas tree from cardboard. Well, I guess what she really meant, was fir tree. 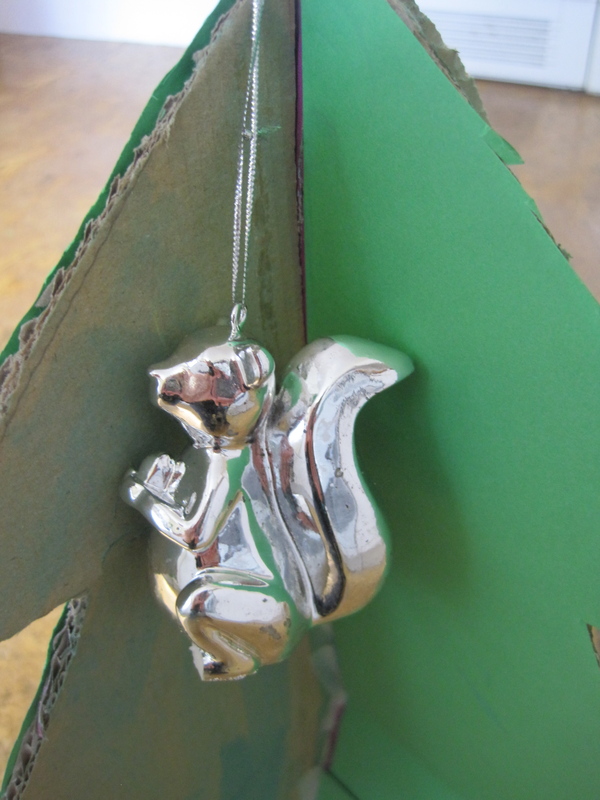 On Thursday, on a walk in the forest, she found a little silver painted hanging squirrel, which was very funny, because right now, her favourite song is ‘Ekorren satt i granan’, which directly translated, means ‘The squirrel sat in the christmas tree’. 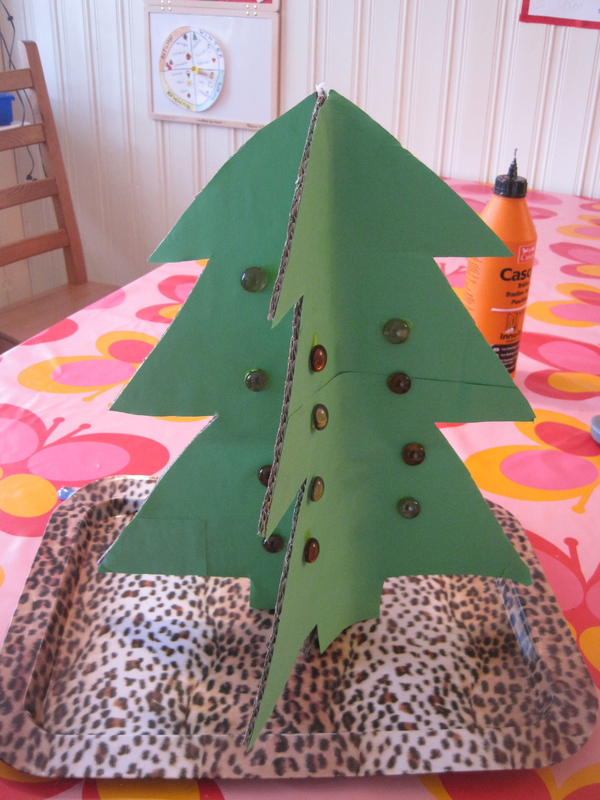 ...cutting out tree shapes from cardboard, slotting them together, and either painting the sides, or covering them with green paper (to cover the adverts). In retrospect, with a little glittery glue and some sequins, this would probably make a lovely table top Christmas decoration! And in my humble opinion, April is a fine time to have a Christmas tree!!! Tell your sweet Maya I have a small tree up all year long – about 3′ tall and very skinny. I change the decorations with the seasons. Now she can do the same!